Our roots run deep. 300 years deep, to be exact. Learn more. Our city’s rich heritage is evident in our celebratory culture. We’re proud of where we came from. We’re confident in who we are. And, we celebrate our ability to adapt and change with the times. We are San Antonio. And we are rich in Hispanic culture. 300 years ago, Spain staked its claim in the New World and sent missionaries to colonize the native peoples. Then, it was a Coahuiltecan Indian village. Today, it’s San Antonio. The early Spanish settlements in Texas, including San Antonio, were a series of missions and military outposts (presidios). They founded Mission San Antonio de Valero (Alamo) and a presidio to protect it at the headwaters of the San Antonio River in 1718, followed by four other missions. In 1731, the town of San Fernando de Bexar was founded when Spain sent settlers from the Canary Islands to establish a civilian presence. 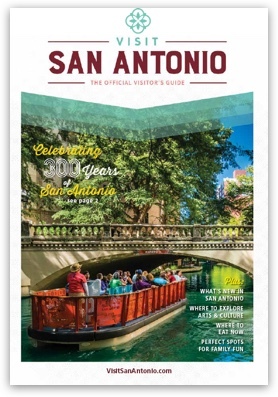 By 1780, San Antonio was the capital of the Spanish province of Texas and had a population of about 2,000, a mixture of Spanish Mexicans, Native Americans from the missions, African Americans and Canary Islanders. In 1821, Mexico, including San Antonio, achieved independence from Spain. And in 1836, Texas fought for and won independence from Mexico. Today, people of Mexican origin make up 91.3 percent of San Antonio’s Hispanic Tejano population, which totals more than 54 percent of the total metro area population.